Subiect: The riot initiated in Bosnia and Herzegovina, during the summer of I 875, had a social and national character, and rapidly spread throughout the Balkans, generating international complications and bringing Europe on the threshold of war. The Oriental problem was again concerning the great states of Europe among which old animosities and rivalries were again manifest. Examining the existing situation up to that date and the interests the European forces had in the Balkan area, we can see that the peoples in this region had not only to fight for their assertion as independent nations, but also to con front these European interests aiming either at maintaining the Ottoman Empire or at dissolving or even sharing it. The attention of the Romanian politicians was concerned with obtaining the state independence, in order to enjoy complete internal autonomy, the Romanian dependence upon the Ottoman Empire having been, at any rate, limited. Romania, of all states, had a critical position. The initial attitude adopted by the conservative government led by Lascar Catargiu was that of strict neutrality. The evolution of the events in the Balkans forced the government to intensify the diplomatic activity and directly contact the political personalities the future of Romania depended upon. There was an idea that, while participating in the Oriental problems, the empires would respect the Romanian neutrality, but its neutrality was not granted by anybody, and the surrounding powerful states were less interested in maintaining it. The events in 1877 showed a shift towards an armed solution and the failure of the peace conferences at Istanbul (December 1876/January 1877) and London (March 1877) made the burst of a war between the Turkish and Russian empires imminent. The inevitable perspective of a war between the neighboring empires, the need of protection against the repeated Ottoman aggressions along the Danube and the imminence of the protrusion of Russian troops on the Romanian territory determined the Romanian authorities to call the people to arms. The total number of mobilized persons was of about 125.000, so, from the point of view of the mobilized forces, as compared to the duration and intensity of the fights, of the space and the way the events took place, and above all, considering its consequences, one can assert that the 1877 war was one of the most important coalition conflicts during the second half of the l 9th century. 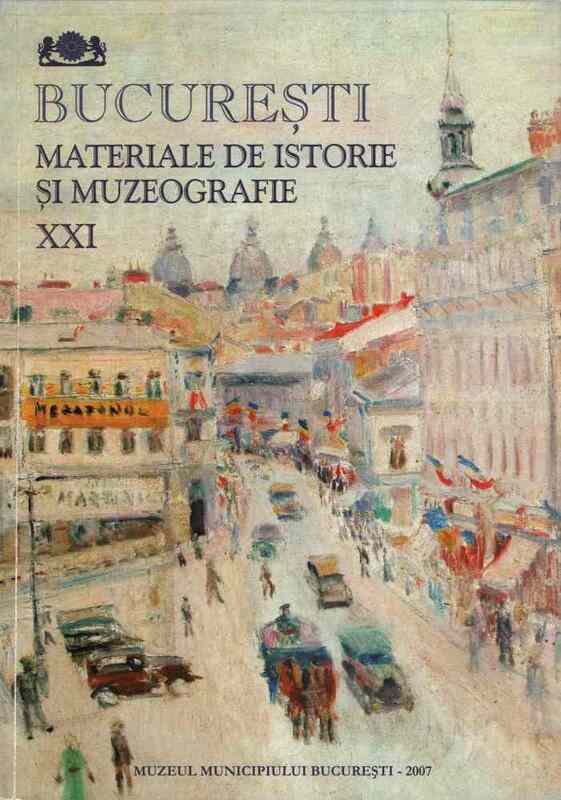 By its temporary exhibition, the Municipal Museum of Bucharest aimed at commemorating this event, using the items in its patrimony. Numerous patrimony objects were exhibited, comprising paintings, sculptures, decorative art items, costumes, furniture, weapons, maps, plans, lithography’s, medals, numerous accessories referring to the most important sequences, events, deeds having marked our national history during the eighth decade of the I 9th century.